I’m all for diversity and having something to offer for everyone, but my goodness – that just seemed like total overkill to me. That being said, however, I did become a fan of their Diamond CBD “Dabs” (which I’ll discuss in detail down below), as well as some of their more unique and “exotic” products that I honestly have not seen for sale from any other brand. Some people also seem to like the fact that they’re endorsed by ex-NFL player L.T. Taylor and marijuana legend Tommy Chong, but for me personally, I find that a little tacky – I’ve always been of the opinion that if you’ve got a quality product, it’ll more or less sell itself. In any regard, let’s take a look at who Diamond CBD actually is, and what kinds of products they’ve got on the (online) shelves. 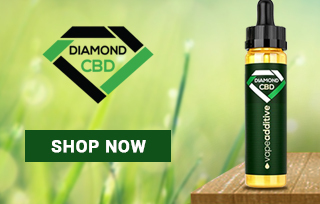 The Diamond CBD offices and main warehouse is located in the Miami area of Florida, though like we said you’ll have to order online if you want to buy anything directly from them. As per their website they source their raw hemp material either from Colorado or Scandinavia, which is a good thing as Scandinavian countries have some of the strictest/highest qualities of hemp agriculture out of any region on earth. And we all know of course that Colorado hemp is typically of the purest quality. They also claim to be composed of a “team made up of doctors and scientists,” but I would want to speak with someone about this before I took it as a solid oath (I actually meant to ask them who exactly the “doctors and scientists” were when I called them, but I completely forgot). 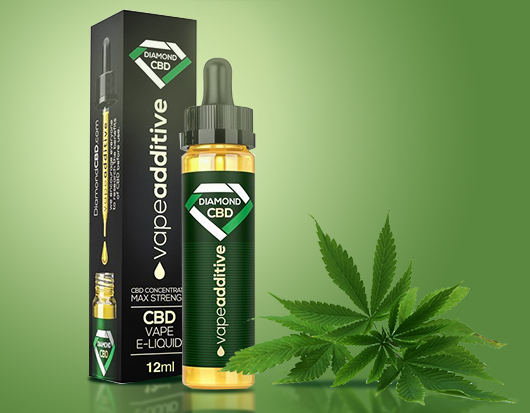 Honestly, the main highlight I can think of right now is simply the incredibly massive range of products that Diamond CBD has for sale. If you’re the type who likes to explore your options and try out new products all the time, you and this brand will be a match made in heaven. They sell CBD dabs! Given their super-high potency, CBD dabs are actually not a common product among most industry manufacturers. I tried the 1,000 mg Diamond CBD “Crystal Rocks,” and I’ve got to say they hit pretty dang heavily. I use a banger style dab rig, and with one little rock (I would say no more than an ⅛ gram), my splitting migraine was wiped out within minutes – no joke. They also have an incredibly potent 10,000 mg Crystal Dab Powder which I really want to try, but I’m trying to work up the courage to spend the $649 that it costs! They source (some of) their hemp from Scandinavia. You might think that anything and everything that is sourced right here in the USA is always superior to other parts of the world, but the bottom line is that Scandinavian hemp is subject to some of the most rigorous organic agricultural standards in the world. If you buy CBD products that have been sourced from Scandinavian hemp, you can rest assured that you’ll be getting a pure and high quality product. They have a pretty awesome new product called “CBD Fatty Loose Herbs”. It might sound crazy, but the only reason I had to put these “Loose Herbs” on my list of favorites is they remind me of smoking my tobacco pipe! Now I know what you’re all thinking, tobacco is the “sworn enemy” of cannabis, but the truth is 20+ years ago I really used to enjoy a relaxing, thoughtful smoke out of my vintage tobacco pipe while I was out fishing. Now, I can bring the pipe back to life with these therapeutic dry CBD herbs, which actually taste really, really good! Absolutely love them, and will be sure to keep some on reserve (you can also roll them up into CBD joints or smoke them in bowls or bongs, which I haven’t tried yet but certainly will. They have really good CBD pet products. Truth be told I have not specifically tried Diamond CBD’s pet products, but my wife’s sister uses them for her aging Weimaraner and claims that they work better than anything else she’s ever tried. Next time I order through them I’ll be sure and get some of the bacon flavor drops for our 11 year old Sheltie. Their price ranges can literally accomodate people of all different budgets. Considering the fact that not everyone can go out and spend $120 on a 1 oz bottle of CBD oil, affordability is one thing I feel doesn’t get enough credit in the current cannabis market. Diamond CBD, however, has products that are literally under $10, which is a great way for potential patients to try it out first and see if it works for them. If they try out some inexpensive gummies for instance and see that they’re effective for them, they’ll be much more willing to make more of an investment on more potent (and longer-term) products. Unfortunately, there were a couple of things that struck me the wrong way when it came to Diamond CBD. For one, I did not appreciate the fact that they don’t offer a guarantee. While they do offer a return policy for unused and “unopened” products, they do not seem to have any sort of satisfaction guarantee, which to me spells out that they may not be 100% confident with what they’re selling. Also, I actually called up the company to ask them a question about the 1,000 mg CBD Crystal Rock Dabs (I wanted to known how much CBD actually came in the package – which was 1 gram, by the way), and the operator who answered twice had to put me on hold to “go check on that information.” I felt the question I asked was super simple, so it struck me as a bit odd than actual Diamond CBD “employee” wouldn’t have known the answer right off the top of their head. As I said earlier, my favorite thing about Diamond CBD was their Crystal Rock Dabs. With just one small little rock on my banger, I was able to get migraine relief for upwards of 6 hours. And believe me, my migraines are no joke. Ibuprofen doesn’t touch them, and even some high THC cannabis strains have not had much of an effect on them. I will certainly be ordering some of the Diamond CBD dabs as soon as I’m done with the 1,000 mg Crystal Rocks (which hopefully is later rather than sooner). Diamond CBD Edibles: Truly massive selection of CBD edibles including five different kinds of gummies, CBD “Cake Pops” (like lollipops), two different kinds of super potent liquid CBD shots, CBD Honey Sticks, and CBD Lean Shot Syrups. 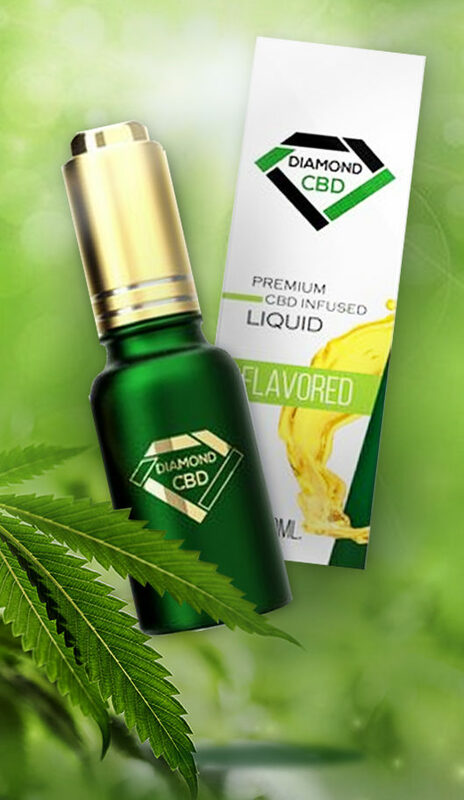 Diamond CBD Oils: Eight different varieties of oral CBD oil drops, including standard hemp oil, a “Blue CBD” isolate oil, a Diamond CBD Full-Spectrum oil, a flavored terpene oil, two different varieties of CBD “Extreme” Drops, and two signature label CBD oils from Tommy Chong and Lawrence “L.T.” Taylor (retired NFL player). 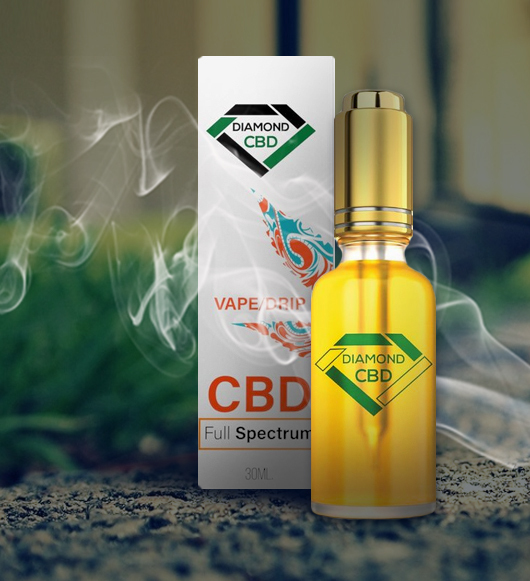 Diamond CBD Vapes: Nine different varieties of CBD vape oils including CBD additives that you can add to your regular nicotine/tobacco e-juice, pure CBD vape oils for re-usable vape pens, pre-filled disposable vape pens with the CBD liquid already in them, and CBD “Fatty Joints” that smoke just like ganja back in the good old days. Diamond CBD Dabs: Like I talked about earlier, these are my favorite Diamond CBD products. They come in three different varieties (Crystal Dabs, Crystal Rocks, and Crystal Crumble) and seven different potencies ranging from 250 mg to 10,000 mg.
Diamond CBD Creams: I have not yet tried the Diamond CBD topical creams, but they come in two different varieties (the Biotech CBD Cream and the signature L.T. Taylor “Pain Master” Cream) and three different potencies (250 mg, 500 mg, 1,000 mg). Diamond CBD Grinders: Nice looking dry herb grinder that comes in four different colors. Diamond CBD Pets: Like I talked about above, my wife’s sister has had incredible results on her Weimaraner with the Diamond CBD pet oils, and I will no doubt be trying some for our own dog once we run out of the CBD treats that we currently have for her. They come in two different varieties for small, medium and large sized dogs (they have regular oil drops as well as a bacon flavored ones), as well as two different varieties that are specific for cats. Diamond CBD seems like a good, high-quality brand. The potency and effectiveness of their dabs is definitely spot on, and I’ll no doubt be trying out some more of them in the future. However, one thing that I’m not particularly fond of with this brand is that they don’t seem to have that customer “intimacy” that some of the smaller brands do. When you call the number for instance you go through this automated voicemail, where you have to select what department you want to get transferred to. Nothing at all wrong with that, I just sometimes prefer the more intimate customer service that some of the smaller brands have. Would I buy/try Diamond CBD again? Absolutely. Are they going to be my sole CBD manufacturer from here on out? Um, no. Unless, of course, they want to give me a lifetime supply and for me to be their worldwide ambassador! Wow! Five types of CBD Gummies! Now this was what I was looking for. Five sweet ways to unwind and relax yourself. I was overwhelmed with oil choice on the website, but I decided to go for the Relax Extreme. Wow this oil is magic – never felt so content. I’m excited to try the Chill Shot. That’s what I love about Diamond CBD they are always bringing out new and innovative CBD products. I used the Diamond CBD Pets for my boxer and the results have been incredible. I will no doubt order the next set once we run out of the current one. Love the watermelon CBD oil this website sells…its been much more effective than my previous oil. Brittany from Ashburn just bough! Sloan from Ashburn just bough!